MAMARONECK, N.Y., Mar 04, 2019 (SEND2PRESS NEWSWIRE) -- Brands Within Reach (BWR) announced today the introduction of a new line of 17.6 ounce ready-to-drink natural black and green teas offered in four flavors: Black Tea lemon, Black Tea Peach, Green Tea Raspberry, Green Tea Lime and Mint. Using ground breaking and enhanced quality aseptic bottling standards which removes the need for preservatives or extended heat treatment, the new Nestea(R) FLASH BREWED(TM) products offer the ultimate fresh flavor taste profile while allowing to help preserve nutrients in the products. The new 17.6 ounce line is offered in a proprietary shaped bottle with easy grip for consumption, using tea leaves sourced from the high altitude Nilgiri region in India known for its high-quality tea plantations. 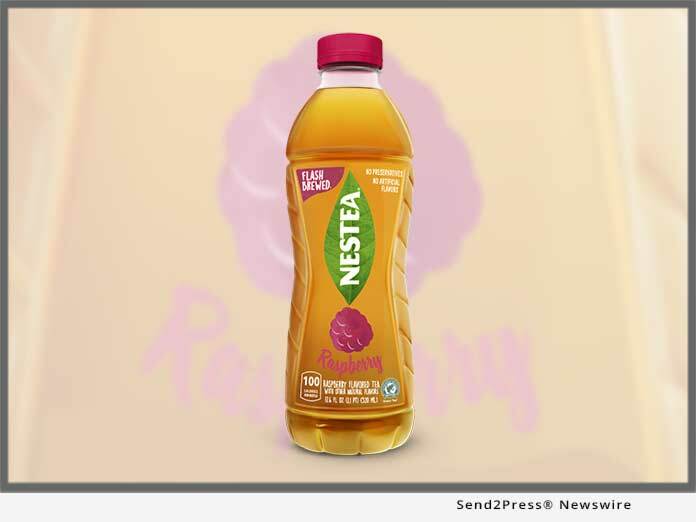 "The new Nestea FLASH BREWED line is introducing a new fresh taste standard in the RTD tea category while benefiting from a strong brand awareness, and high measures of trust and expertise in tea," comments Olivier Sonnois, BWR's CEO. "Consumers are demanding higher quality, consciously sourced natural products from brands they trust in a category which is poised for a shakeup. Most established brands of RTD Teas are currently flat or declining in sales highlighting an increased disconnect between consumers aspirations and product offering." Sonnois added, "We believe the new Nestea FLASH BREWED(TM) product line can immediately offer a disproportionate contribution to category growth by meeting all consumer aspirations: ultimate fresh taste, attractive packaging, fair consumer price at $1.29 a bottle, Rainforest Alliance Certified, 100 percent clean ingredient list and innovative process allowing better nutrients content and flavor." The new Nestea FLASH BREWED(TM) products will be introduced and sampled at the Natural Products Expo West, Booth #1566. The RTD Iced Tea market in the United States is currently worth $4.55 billion, according to Nielsen Total XAOC+C for the latest 52 weeks and stable. With over 70 years of tea heritage and 89 percent brand awareness across the country, Nestea is an iconic, well-known, and trusted global brand which consumers consider as a tea expert. *Photo Caption: Nestea FLASH BREWED(TM) Green Tea Raspberry.